CAPT Alfred Monahan, USN (Ret) passed away on October 26, 2016. Al had a 30 year Navy career, an extensive business career and was an active member in his community. Born in Manitoba, Canada. He arrived in the United States with his school teacher mother in 1928. He wanted to become a Naval Aviator as a young boy. He attended civilian flight training through the Navy in 1942. 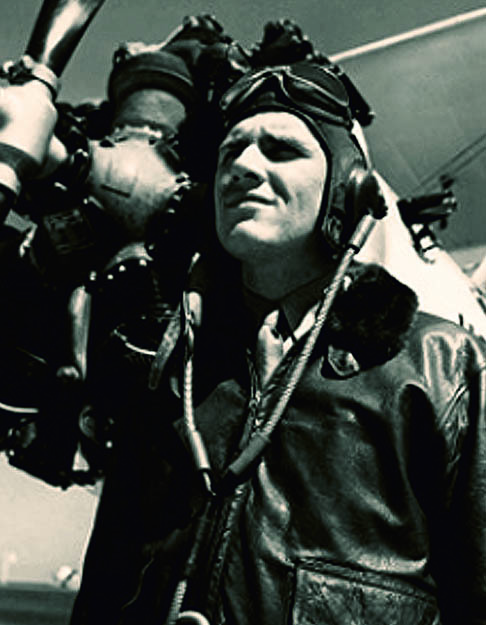 His first deployment was with VC-84 flying the Grumman F4F-4 and FM-1 Wildcats in the Pacific Theater of Operations in World War II. He was later assigned to Ford Island, Hawaii flying the Grumman F8F Bearcat. Al’s tours included assignment as a flight instructor in Pensacola. He volunteered for helicopter training following WWII. He was assigned to HU-2 flying the Sikorsky HO3S in Lakehurst, New Jersey with a deployment to the Korean War zone. After HU-2, he was assigned to VF-123. Al then reported to Whidbey Island to fly helicopters. This tour was followed by training in HS-10 before his XO/CO tour in HS-4. While in HS-4, Al’s squadron deployed aboard the USS Yorktown (CVS-10) to provide support for nuclear testing of the ASROC and Polaris missiles. His other tours included Operations Officer on the USS Bennington (CVS-20), Commander Fleet Air San Diego staff, ASW Group 3 and Board of Inspection and Survey Pacific. CAPT Monahan retired in January 1971. He was one of the founders of NHA. He served the helicopter community, the Navy and his country with honor and great pride. His humor was known to all and he was a really nice guy.